Founded by LausGroup Chairman & CEO Levy P. Laus in 1983, the company started small in a spot located at Barangay San Agustin in San Fernando, Pampanga. Back then, it was known as LPLaus Marketing. On August 8, 1988, a quadruple eight, it was renamed Tirecity Goodyear Servitek and this pioneering tire and Service Center came rolling out to serve. What initially was a TBA (Tires, Batteries and Accessories) concept, Tire City has evolved into a one-stop auto care shop and with its renewed partnership with industry institution Goodyear early this year...Tire City Good Year Auto Care is now a complete hub—from tyres to services like under chassis and wheel alignments, brakes, cooling system checks to electrical and body works and painting...works guaranteed by Tire City's team of well-trained service technicians, ensuring every customers' vehicle that comes out of its service bays are runnning right and in tip-top shape...for the next journey. Twenty five years later, Tire City San Fernando Good Year AutoCare, part of the Biggest Chain of Automotive dealership in the country, the trusted Laus Auto Group is still going and rolling. Today, it is the recipient of various achievement awards on sales, credit, training and customer service from Goodyear. Onto the next twenty five, Tire City-GoodYear Auto Care continues to prove the right tires, the right parts and the excellent service it has been known for, all fueled by the driving force—"We'll keep you running"
Tire City Yokohama Pampanga is an authorized dealer of the world-renowned Yokohama tires. It is under the distributorship and management of the largest automotive dealer network in the country, the Laus Auto Group. 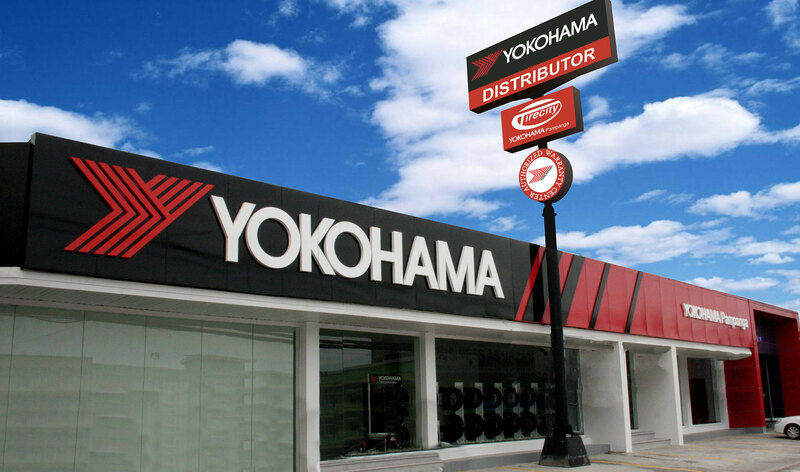 Yokohama Pampanga offers a comprehensive product portfolio of tires with advance design technology. It also offers aftersales service which includes under chassis, wheel alignment, brake/engine troubleshooting, air-con, tire rotation/balancing and others.